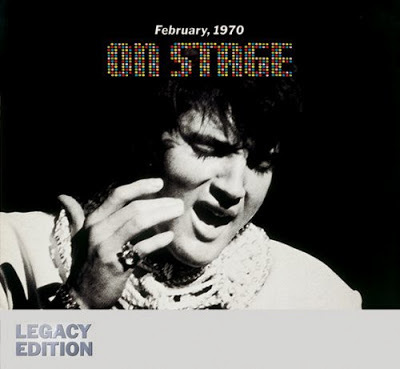 Discussions Magazine Music Blog: SPAZ Reviews Three ELVIS Live Legacy Editions! SPAZ Reviews Three ELVIS Live Legacy Editions! There's no denying my love for ELVIS PRESLEY. I dig every aspect of his career from his groundbreaking early Rock 'n' Roll/Rockabilly sides on Sun Records to his final albums recorded in his legendary Jungle Room at Graceland two decades later. I even love the movies he made in the '60s! Oh, and by the way... Elvis is my favorite vocalist of all time, bar none. There are two particular periods of Elvis that I love the most: 1960-1963 (the early post-Army years) and 1967-1971, a time period where he sounded more passionate than ever before and when he totally connected with the material. Unfortunately, his touring schedule beginning in 1972 drained his passion and his studio output became very inconsistent. There were a few decent recording sessions, but he never quite captured the magic again. Then again, a half-hearted Elvis performance was still miles better than his competition! These days, people think of three different things when they think of Elvis: those classic '50s recordings, his cheesy '60s movies and his '70s live persona (ie: The Jumpsuit Years). Oddly enough, when most Elvis impersonators take the stage, they tend to focus on the Jumpsuit Years with very little time given to any other point in his career. So, if it's the Jumpsuit Years people love the most, then RCA/Sony has given fans three great and very different live releases that focus on this era. 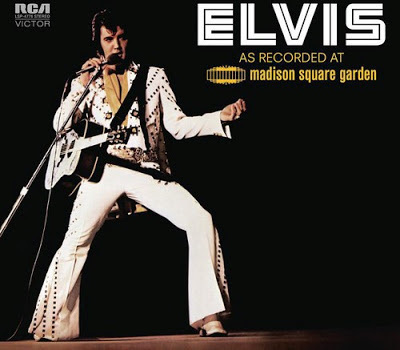 Recorded two and a half years after On Stage, As Recorded At Madison Square Garden was a heavily hyped affair, being that Elvis' performances there were his first in the Big Apple since the '50s. Disc One contains the digitally remastered version of the album, recorded June 10th, 1972, and sounds fantastic. 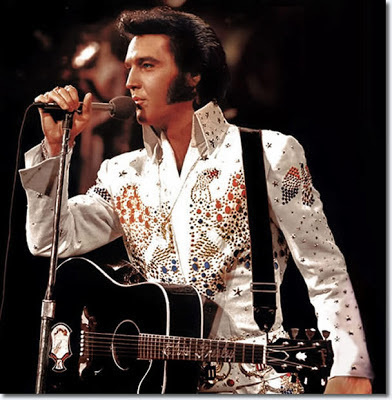 Vocally, Elvis had lost some of the spark that had ignited him in the late '60s, but the electricity in the air was definitely evident in the performance. The band is extremely energetic during the set and it stands as one of Elvis' most beloved live recordings. (Incidentally, the original album was released only a week after it was recorded!) Disc Two is the Afternoon In The Garden album, which was officially released in 1997. It consists of Elvis' afternoon performance recorded the very same day as Disc One. It's the same set, different performance and still sounds great. Elvis may have started going through the motions, but was pretty flawless during these two shows. There's also a box set called Prince From Another Planet that features these two CDs plus a DVD. So, by 1973, Elvis was nearing the end of his '70s peak, but there was one more show that has gone on to become the defining moment of the Jumpsuit Years: Aloha From Hawaii Via Satellite. This performance was originally taped and broadcast all over the world (except, oddly enough, the U.S.) on January 14th, 1973. The album followed on February 4th. While this is an iconic performance, Elvis was far more relaxed on Aloha than on his previous live albums, which was both good and bad. His voice sounded great, but the energy level was low. Perhaps Elvis' nerves hindered his performance (broadcasting to a worldwide audience was a new thing back then), but that didn't stop people from snapping the album up when it came out. Now, don't get me wrong - it IS a great show, but not an incredible one. And strangely enough, the actual performance was not televised in the U.S. until April 4th, nearly three full months after it was recorded! 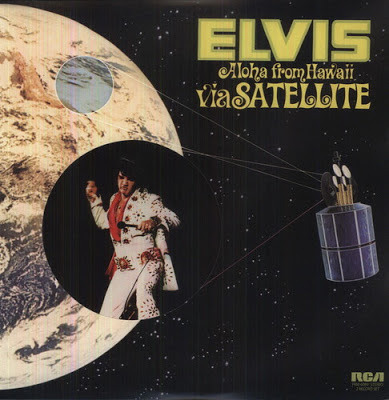 Disc Two contains the Alternate Aloha release, which was recorded earlier in the day and features the same tracklisting. There were more live releases to come in Elvis' lifetime (and beyond), but these three are the most essential and should be in every Elvis fan's collection. Now, perhaps one day I will write about the excellent studio releases that have come out in the Legacy Edition series.